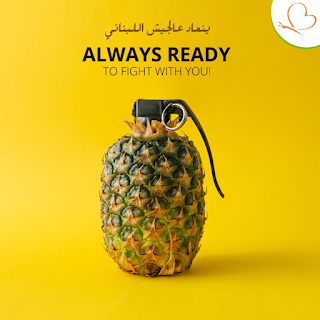 Diet Delights comes out fighting with a pineapple in lieu of a grenade for Army Day. 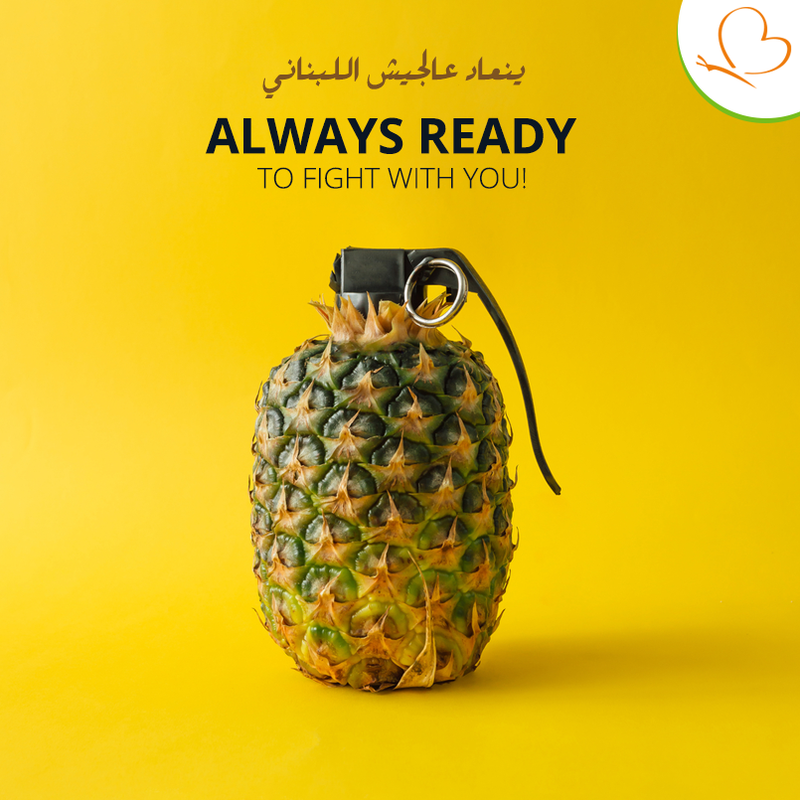 Oh well, it could have been a pear.... To go back to the classic comedy "Al Mou3alima wal Oustaz" when one of the characters was threatening the other with a pear pretending to be a grenade in class and the teacher interfers, so he tells her "what, am I supposed to threaten him with a labneh sandwich"... So there, make believe all the way!